The Effax Leather Care Case contains all the products required for keeping riding equipment in top condition while on the go. 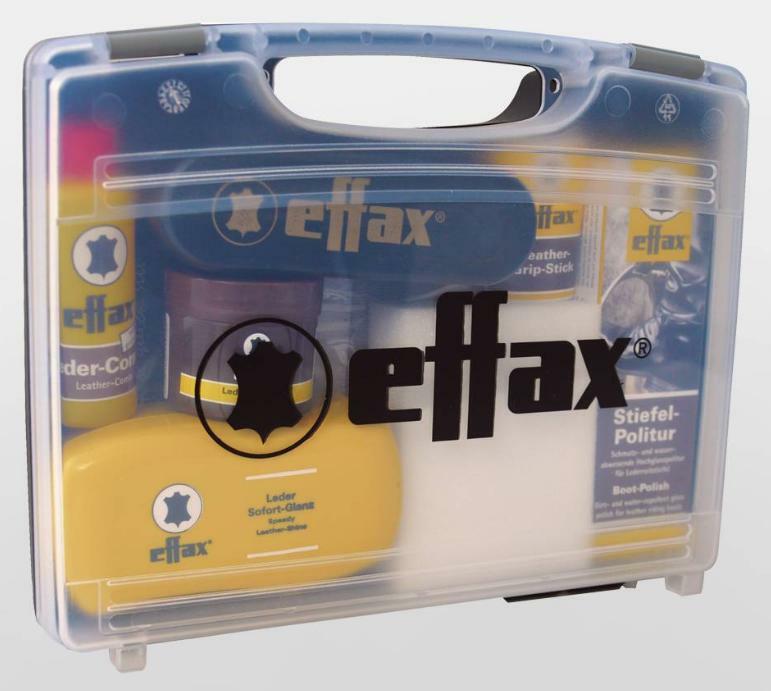 This compact case holds the high quality Effax products which clean and protect your leather from water and dirt. You can also give your leather a glossy shine with the polishing cloth. There are currently no questions for Effax Leather Care Case - be the first to ask one!